Here we are, into February already. Gosh January whizzed by. So fast. So now if I mean "a few days ago", I could actually just shorten it to "last month", and if it's more than just a "few" days, I'm covered. So. Last month, I received some goodies in the mail. 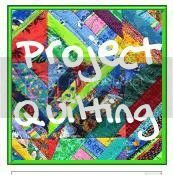 First, there's this cool Quiltmaker's 100 Blocks magazine, and a pattern for a Winding Ways quilt. I won these back in December, as part of the Patchwork Posse round robin adventure. Reeze from Morning Glory Designs sent them to me, all the way from the USA, yay! Thanks, Reeze! 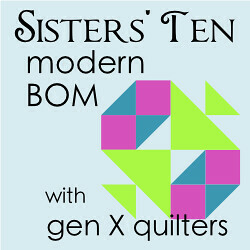 The quilt is her design, and she has a block featured in the magazine: #106 - Rising Star. 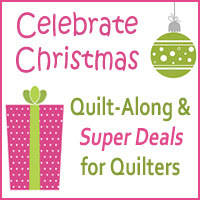 And I can't wait to begin the quilt, although I guess I'll have to start collecting fabrics first. I want to make it scrappy and colourful. But I'd better finish a few things before starting on anything else. Although there's no harm in having a small bin ready to receive ideal-sized scraps. So, what I won/bought was an embroidery floss box, with over 70 threads, all wound onto bobbins and labelled. Not brand new, but I don't mind. I don't do cross stitch - and have no plans to ever try it - but these will come in mighty useful in the hand applique parts on quilts and suchlike. Lots of colours I didn't already have. Yay! In Cat News, the flow of bumblebees has seemed to stop. I got somewhat tired of being woken up in the morning with the cat pouncing on the bed, playing with her latest prey. So I pulled out a couple of offending plants. Some people, I guess, would call this weeding. First there was a thistle plant. It had grown huge. I was letting it grow, truth be told, because I wanted to do a dyeing experiement with the flowers. Beautiful pinky-purple, they were. But alas, the bees loved the flowers, the cat loved the bees, and she didn't even mind/seem aware of the risk of being pricked or bitten. So out it came. The bumbles were still hanging around though. On the other side of the house, right outside my bedroom window in fact, I have a lot of mint. It started off as a single mini-plant, but boy did it take off! And it flowers, and the bees come, and so the cat comes to see what all the buzzing is about. I felt bad, pulling it out. And not just feeling bad as in I'm getting a sore back from all this bending over in the hot sun, but bad for the bees. Sure, I know there are other flowers, in other people's gardens, but I've heard that bees are on the decline. Which is not good for Planet Earth as a whole. What I have learned from this is that the best way to pull out an overgrown thistle bush is to do it in parts. Get the secateurs, and cut it into manageable pieces. Then throw them in the bin. No, I don't mean the compost bin, I mean the rubbish bin. If that's wrong, in an eco-way, then I guess the Compost Police will be after me. I'll let you know if they visit.